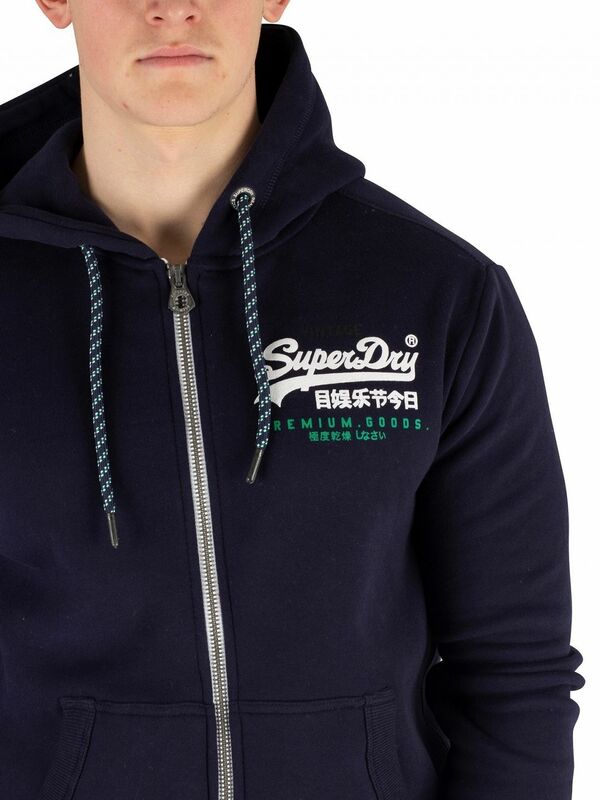 The Premium Goods Racer Zip Hoodie from Superdry features open pockets, and elasticated cuffs and hem. 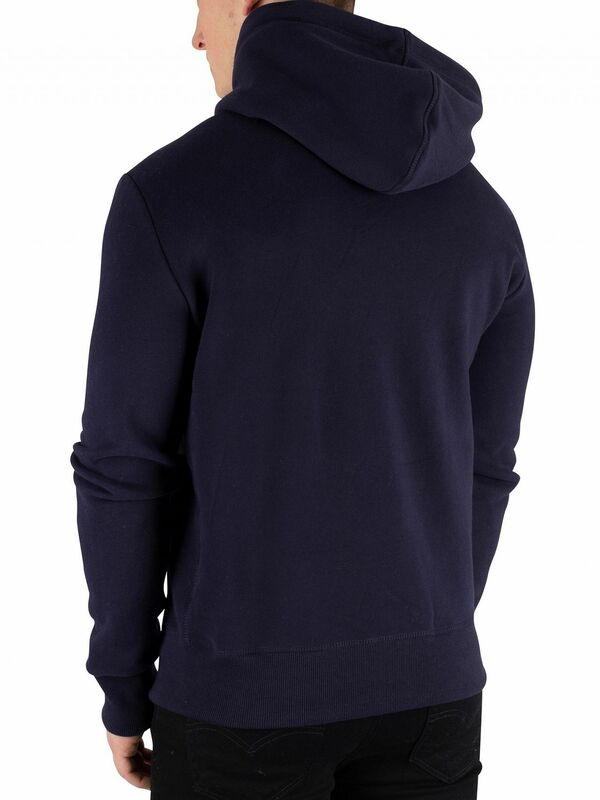 This hoodie also sports a rubber logo graphic on chest. 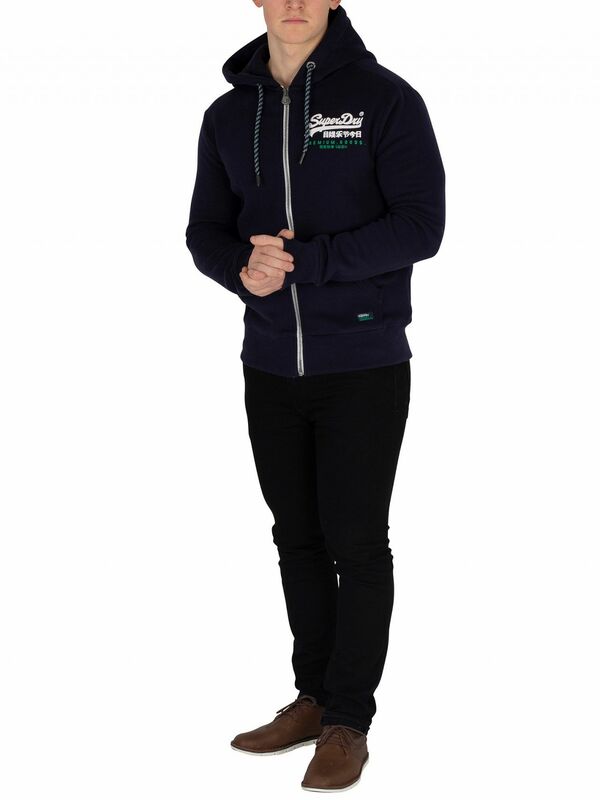 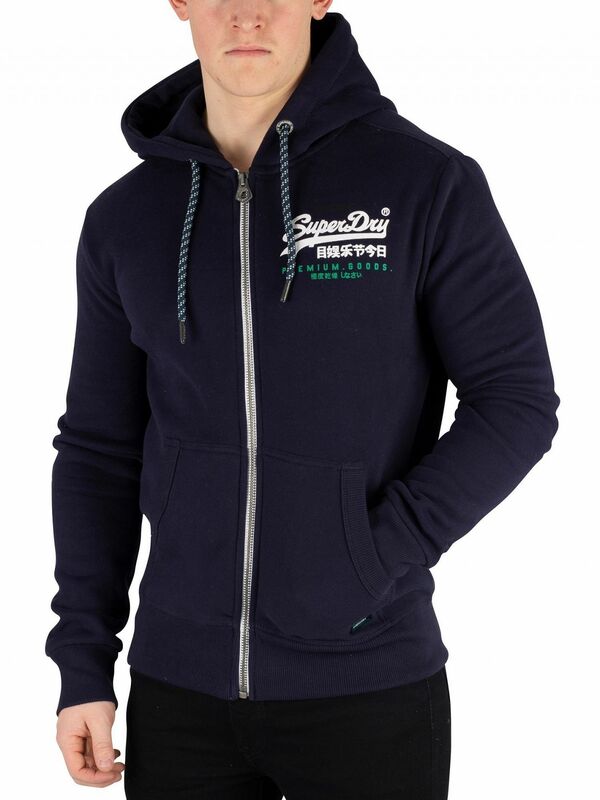 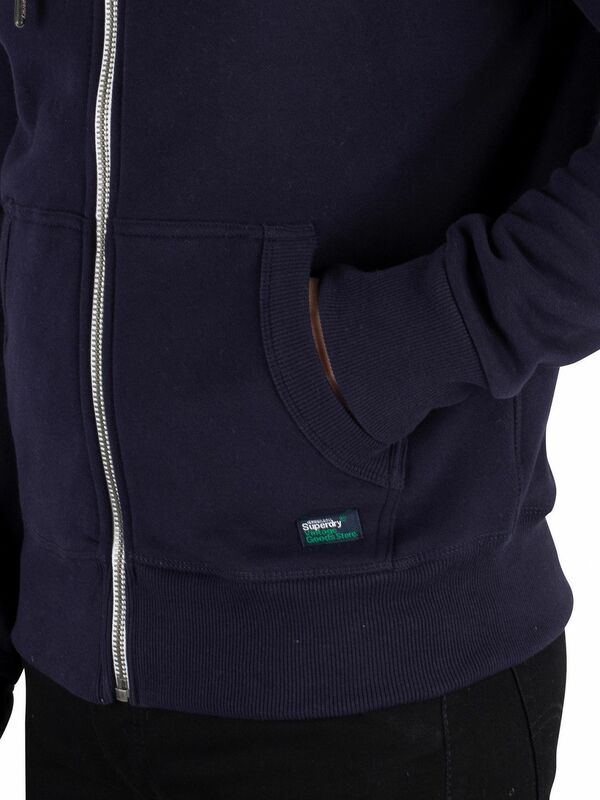 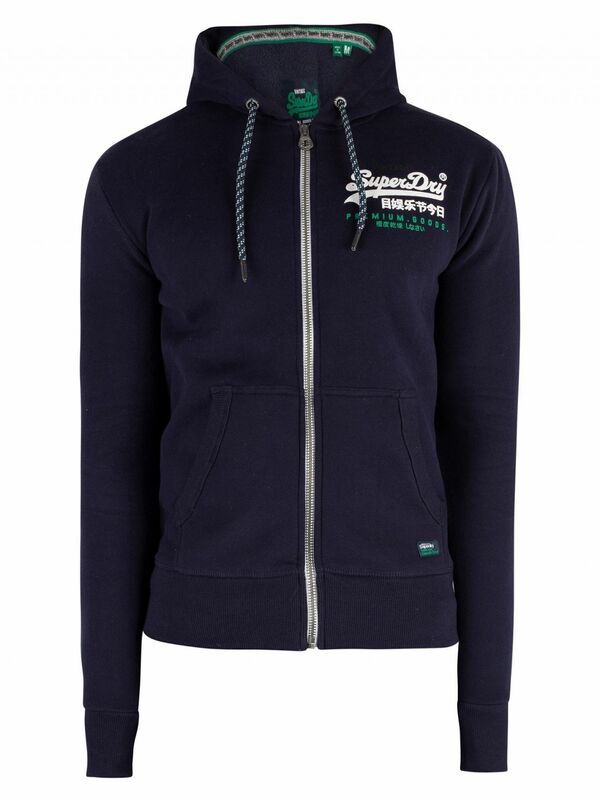 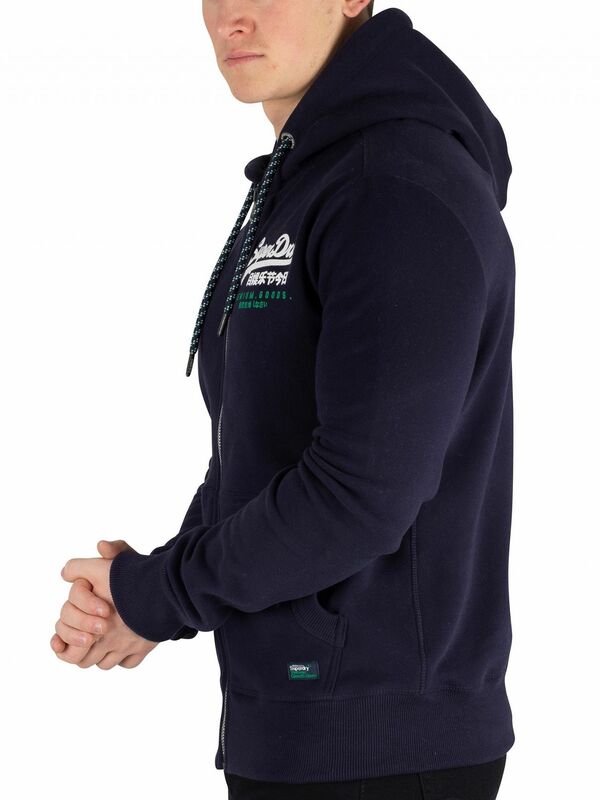 Coming in Academy Navy colour, this hoodie features a drawstring hood with branded eyelets, and zip closure.